By completing this lesson, you will be able to manage user transactions such as Aircraft receipts, Maintenance Flights, and Informational Items on queue in the Flight Management Approval Q. The Approvals Queue displays all unapproved aircraft receipts, maintenance flights, and some informational notifications. It provides the Administrator the ability to easily manage items created or requested by the club's users. The Administrator can either approve, reject, or edit each pending item. Simply follow the step-by-step instructions below. 1. 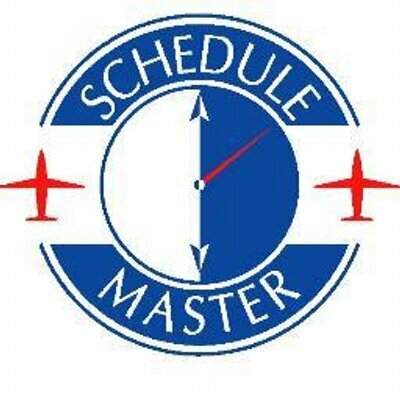 From the Schedule Master default page, select “Billing Admin” >> “Flight Mgmt” >> “Approvals Q” on the main menu. 2. Select the item/s you want to include in the approval queue by checking the box corresponding to each type of pending item (A). Click the blue “Refresh” button to execute request (B). 3. To approve an aircraft receipt, select Aircraft Receipts (A) and click the Refresh button. For each of the receipts you want to approve, click the “Approve” link (B) and then click the “OK” button in the dialog box to confirm your approval (C). This will clear the receipt from the Approvals Queue. And, it will include the credit when calculating finance charges. 4. 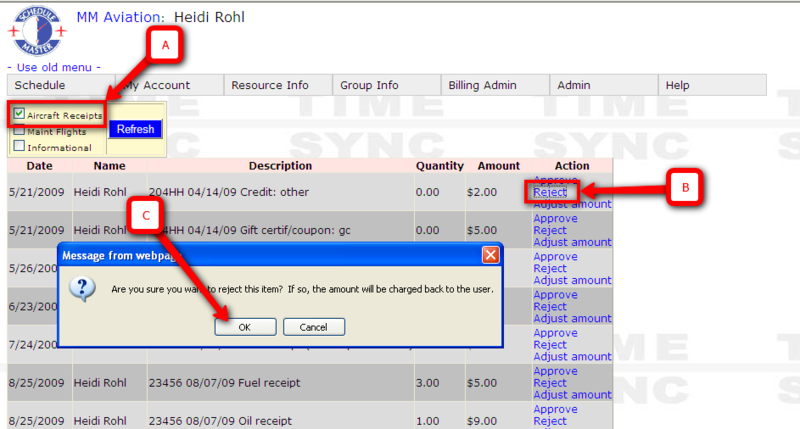 To reject a receipt, instead click the “Reject” link (B) of an item in the list and then click “OK” to confirm (C). This will charge the amount of the receipt back to the user. 5. 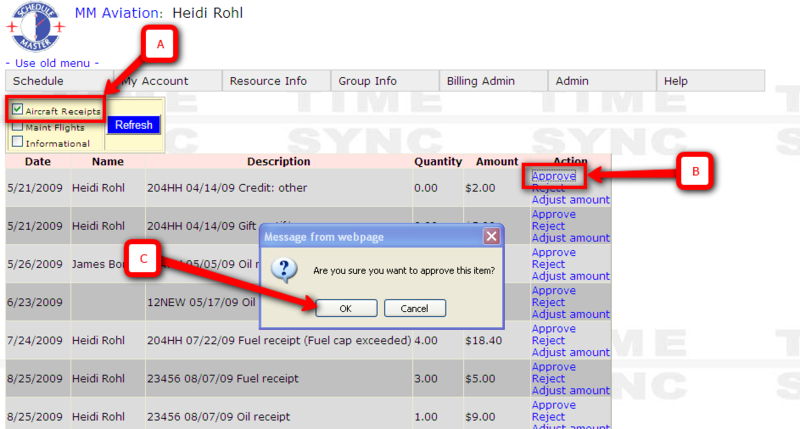 To adjust an amount of a pending Aircraft Receipt item, click “Adjust amount” link and enter the Quantity and Amount in the succeeding text boxes that appear (B). Click update to proceed with amount adjustment. This will charge the original receipt amount back to the user and then credit the new amount. 6. To approve a maintenance flight, click the “Approve” link (B) of the appropriate item in the list and then click “OK” to confirm (C). This will remove this item from the list. 7. To reject a maintenance flight and charge the time back to ther user, click the “Reject” link (B) of the item in the list and then click “OK” to confirm (C). 8. When Informational items are listed. The only action is to click the “Approve” link (B) to remove it from the list. As usual, you will need to click “OK” to confirm (C).